May 2, 2017 Business, C.O.R.E. 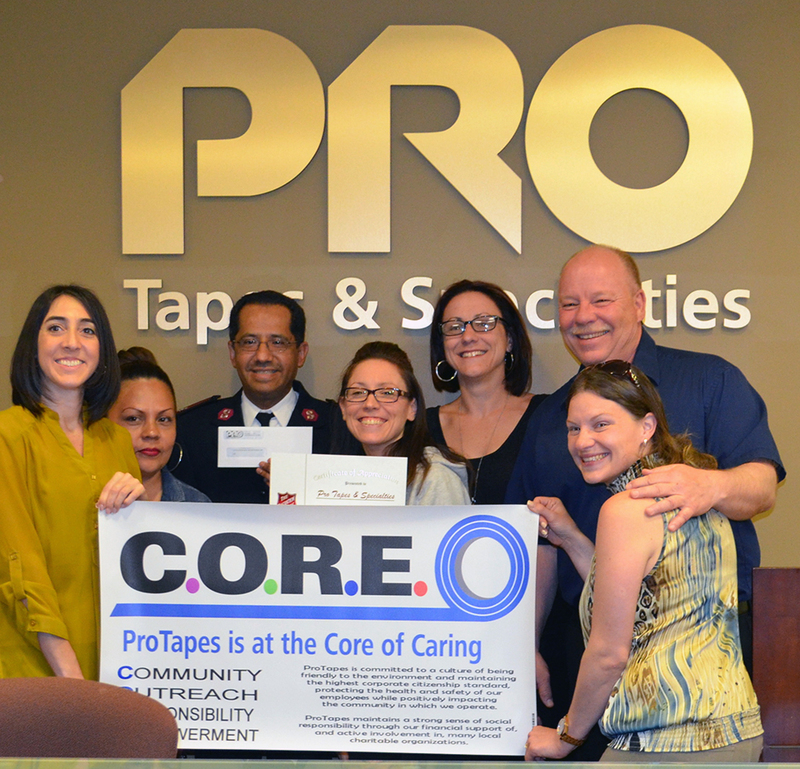 Throughout our 40 years in business, Pro Tapes® has always had a strong belief in social responsibility and maintaining positive relationships with the community in which we operate. 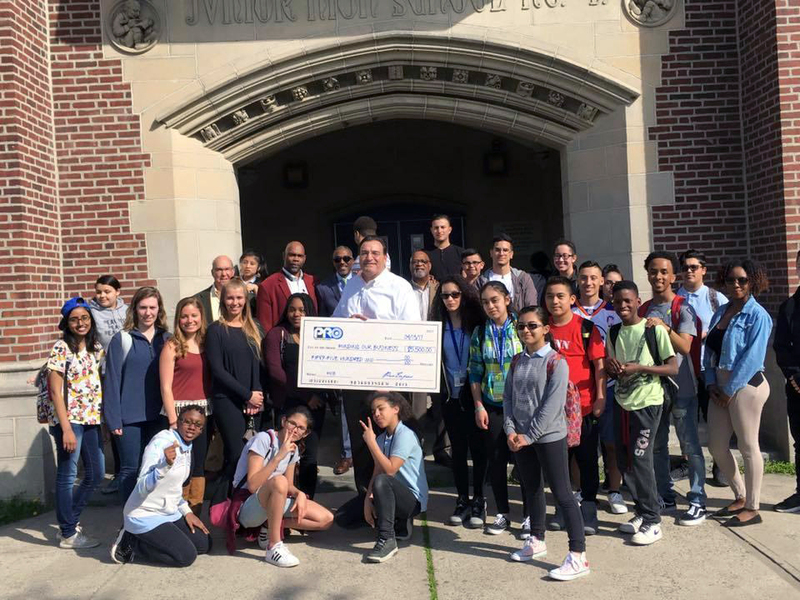 Our Community Outreach Responsibility Empowerment program (C.O.R.E), fosters an environment within our company that encourages our employees to do the same. Employees who know they are a part of an organization that not only cares about them as individuals, but cares about the communities they live in, the schools their children attend and the playgrounds their children play in, not only enjoy a greater peace of mind, but also a great sense of pride in the company they work for. At ProTapes our average tenure of employment is well beyond that of our industry standard, due in large part to our employees great sense of loyalty to a company that treats them and their community with respect and support. Participation in various philanthropic initiatives helps to build a broader network of contacts within the business community, creating opportunities to find new customers and new suppliers. People and companies that mutually participate in philanthropic organizations tend to build a mutual trust and respect for one another, which are essential factors for doing business with one another. Protapes will also look to broaden our relationships with other companies that support the same charitable causes that we support, often times these broader relationships lead to new mutually beneficial business opportunities. Companies that contribute to the greater good of the community, earn the respect and trust of the people who live within those communities, and often times these very same people are decision makers and leaders of various companies in and around the same community. ProTapes has earned a sterling reputation within our community and has benefited by building a strong level of trust and respect with many key members of the communities we support, who have now also become our valued customers. If given the choice of purchasing the same goods or services from a company that is social responsible or from one who has little to no investment within the community, consumers will choose to do business with socially active companies nearly 85% of the time. ProTapes decision to be a responsible corporate citizen wasn’t driven by our desire to find new customers, but there is no question that our community activities have certainly helped gain new customers who respect and appreciate what we do for our community.